Isaac ESTEY I (1627 – 1712) was Alex’s 9th Great Grandfather; one of 1,024 in this generation of the Miller line. Isaac Estey [also spelled Esty, Easty, Eastey, or Estye] was born 17 Nov, 1627 in Freston, Suffolk, England and was christened on 27 Nov 1727 in St. Peter’s church. His parents were Jeffrey ESTEY and Margaret POTT. Isaac emigrated to Salem in 1636 with his parents when he was 9 years old. He married Mary TOWNE around 1656. Isaac died 11 Jun 1712 in Topsfield Mass. Mary Towne was born 14 Oct 1656 (alternatively 24 Aug 1634) in Great Yarmouth, Norfolk, England. Her parents were William TOWNE and Joanna BLESSING. One of eight children, she and her family moved to America around 1640. Mary was a victim of the Salem witch trials of 1692. 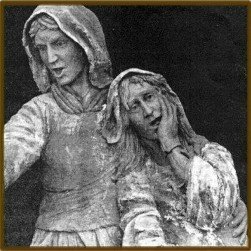 Mary’s sisters, Rebecca Nurse and Sarah Cloyce, were also accused of witchcraft; Rebecca was executed, but Sarah was not. Mary was tried and condemned to death on September 9 1692. She was hanged on September 22, along with Martha Corey, Ann Pudeator, Alice Parker, Mary Parker, Wilmot Redd, Margaret Scott, and Samuel Wardwell. On the gallows she prayed for an end to the witch hunt. This statue depicts Rebecca Towne Nurse, Mary Towne Esty, and Sarah Towne Cloyse, wearing shackles, being under arrest for witchcraft. The statue is located in the Salem Wax Museum of Witches and Seafarers, Salem. That whereas your poor and humble petitioner being condemned to die Doe humbly begg of you to take it into your Judicious and pious considerations that your Poor and humble petitioner knowing my own Innocencye Blised be the Lord for it and seeing plainly the wiles and subtility of my accusers by my Selfe can not but Judge charitably of others that are going the same way of my selfe if the Lord stepps not mightily in i was confined a whole month upon the same account that I am condemned now for and then cleared by the afflicted persons as some of your honours know and in two dayes time I was cryed out upon by them and have been confined and now am condemned to die the Lord above knows my Innocence then and Likewise does now as att the great day will be know to men and Angells—I Petition to your honours not for my own life for I know I must die and my appointed time is sett but the Lord he knowes it is that if it be possible no more Innocent blood may be shed which undoubtidly cannot be Avoyded In the way and course you goe in I question not but your honours does to the uttmost of your Powers in the discovery and detecting of witchcraft and witches and would not be gulty of Innocent blood for the world but by my own Innocency I know you are in this great work if it be his blessed you that no more Innocent blood be shed I would humbly begg of you that your honors would be plesed to examine theis Afflicted Persons strictly and keep them apart some time and Likewise to try some of these confesing wichis I being confident there is severall of them has belyed themselves and others as will appeare if not in this wor[l]d I am sure in the world to come whither I am now agoing and I Question not but youle see and alteration of thes things they my selfe and others having made a League with the Divel we cannot confesse I know and the Lord knowes as will shortly appeare they belye me and so I Question not but they doe others the Lord above who is the Searcher of all hearts knows that as I shall answer att the Tribunall seat that I know not the least thinge of witchcraft therfore I cannot I dare not belye my own soule I beg your honers not to deny this my humble petition from a poor dying Innocent person and I Question not but the Lord will give a blesing to yor endevers. In November, after Eastey had been put to death, Mary Herrick gave testimony about Eastey. Herrick testified that she was visited by Eastey who told her she had been put to death wrongfully and was innocent of witchcraft, and that she had come to vindicate her cause. Eastey’s family was compensated with 20 pounds from the government in 1711 for her wrongful execution. Her husband Isaac lived until June 11, 1712. Isaac Estey was a cooper. In 1661, he was one of the commoners appointed to share in the Topsfield common land on the south side of Ipswich river. Isaac’s reaction to the arrest, trial and conviction of his wife Mary is not recorded save for his life long crusade to have her conviction reversed. He eventually won renumeration on behalf of his family for their loss. In 1664 he was rated at 19s 6d, which was the minister’s rate for that year and entitled him to a proportionate share in the division of the common land. In the casting of lots he was given the 15th share. all the swamp meadow, lying upon Ipswich river, extending from the lower part of the Governor’s meadow down to the bridge that goes over the river below old Goodman Towne’s for a consideration of fifty pounds. He was one of the selectmen of the town in 1680, 1682, 1686 and 1688. In 1681, 1684 and 1685, he was chosen as a juryman in Ipswich, and in 1691 and 1696, he was chosen grand juryman. He also served as tything man, surveyor of highways and fences, and was a member of different committees of the town. After the court of Oyer and Terminer was dissolved, and all the witchcraft cases cycled through by May of 1693, the processes of petitioning for compensation and overturning the earlier verdicts began. At the fore of this effort was Mary’s husband, Issac Estey. It took almost 20 years, but on Oct 17, 1710, the General Court passed an act that, “the several convictions, judgments, and attainders be, and hereby are, reversed, and declared to be null and void.” Further, on Dec 17, 1711, Governor Dudley issued a warrant awarding Isaac 20 pounds sterling in compensation for the injustice of the 1692 verdict against Mary. Isaac died 11 Jun 1712 in Topsfield Mass. Joseph’s wife Jane Steward was born Nov 1654 in Ipswich, Essex, Mass. Her parents were Duncan Stewart and Ann Winchurst (Winehurst). Jane died 1702 in Stoughton, Norfolk, Mass. Joseph “was surveyor of highways in 1683. About 1705 the family moved to a new settlement in Dorchester, which is now known as Stoughton. He was one of the signers of the original covenant of the church where the Reverend John Davenport was minister. In 1706 he obtained land from the Indians, some of which is now located in the town of Canton. Sarah’s husband Moses Gill was born 26 Dec 1656 in Salisbury, Essex, Mass. His parents were John Gill and Phebe Buswell. Moses died 1 Mar 1690 in Ipswich, Essex, Mass. Before her father’s will was written, Sarah’s married a man named Ireland. They moved to Will’s Hill from Topsfield in 1698. It was part of Salem Village that became Middleton. Hannah’s husband George Abbot was born 28 Jan 1658/59 in Andover, Essex, Mass. His parents were George Abbot and Sarah Farnum. He first married 13 Sep 1689 in Andover, Essex, Mass to Elizabeth Ballard (b. 1666 in Andover, Essex, Mass. – d. 6 May 1706 in Andover, Essex, Mass.) Elizabeth’s parents were Joseph Ballard and Elizabeth Phelps. George died 24 Jan 1724 in Andover, Essex, Mass. Hannah was 25 years old at the time of her mother, Mary Towne Estey’s trial for witchcraft. She stayed with the family to take her mother’s place. She did not marry George Abbot until age forty. Elizabeth died at age forty, leaving George with young children to raise. Hannah and George did not have any children, but Hannah was step-mother to his nine children. George’s father, Joseph, charged his neighbors with witchcraft believing they caused his wife, Elizabeth’s, illness. In 1692, more people from Andover were accused and arrested for witchcraft than from any other town in New England. 80% of the town’s residents were drawn into this witch hunt. Andover also holds the dubious distinction of having the most confessed witches, and the highest number of children arrested. Through petitions that eventually turned public opinion against the trials, Andover led the campaign that brought them to an end. Before the madness was over, however, 3 adults had been hanged and one woman perished in jail. In 1712 when her father died, Hannah only inherited 20 pounds since she had already received her portion (7 pounds and 10 shillings) on her marriage. Hannah became a widow when George died January 24, 1723/24. After his death, she lived with her “cousin,” John Perkins in Topsfield. John was the son of Elisha Perkins and Catherine Towne He married Mary Estey the daughter of Isaac Estey and Abigail Kimball. He was her nephew-in-law. Benjamin’s wife Elizabeth Goodhue was born 1675 in Ipswich, Essex, Mass. Her parents were Joseph Goodhue and Sarah Whipple. Elizabeth died 18 Jul 1713 in Dorchester, Mass. In 1705 they moved to Dorchester/Stoughton where he purchased land from the Indians. Elizabeth died following the birth of her last child on July 18, 1713. Jacob’s wife Lydia Elliott was born 1688 in Topsfield, Essex, Mass. Her parents were John Elliott and Naomi Tewksbury. Lydia died 1767 – Royalston, Worcester, Mass. He was appointed by his father in 1710 to take the petition to court for damages in his mother’s death. When his father died in 1712, he inherited the Estey homestead. 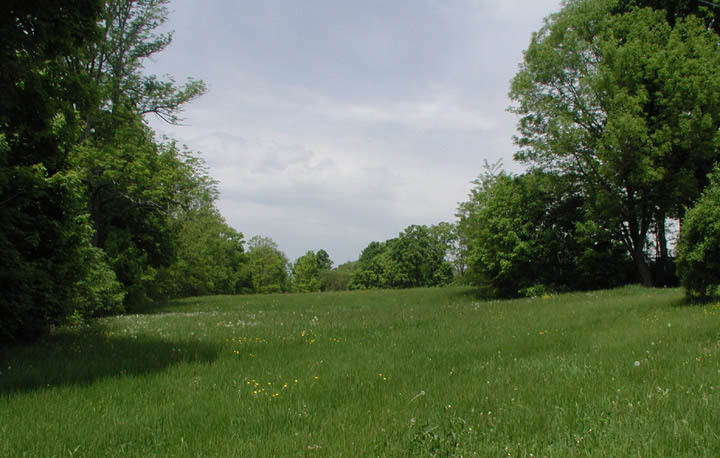 That included the house, barn, other buildings, orchards, fields, pastures and meadows. It also included farming and barrel making tools and the road. He was selectman in 1725. After Jacob died in 1732, Lydia moved to Vermont with her son, Isaac. His aged mother came to town with him, rode in a chaise which it required several men to steady and help over the obstructions of the way, and was the first adult female that died in Royalston. Joshua’s wife Abigail Stanley was born 6 Aug 1688 in Topsfield, Essex, Mass. Her parents were Samuel Stanley and Johanna [__?__]. Abigail died 1 Sep 1746 in Topsfield, Essex, Mass. Joshua only inherited half of his father’s clothes when his father died in 1712. He did not inherit since his father had had to pay some debts for him. “Examination of Mary Easty” The Salem Witchcraft Papers, Verbatim Transcriptions of the Court Records. “Petition of Mary Easty” The Salem Witchcraft Papers, Verbatim Transcriptions of the Court Records. Retrieved 2007-12-10. This entry was posted in 11th Generation, Artistic Representation, Historical Monument, Immigrant - England, Line - Miller, Public Office, Storied, Wikipedia Famous, Witch Trials and tagged Last Victim of Salem Witch Trials, Mary Towne Estey, Rebecca Nurse, Sarah Cloyes, Topsfield. Bookmark the permalink. Where did you read on my site about burning at the stake? I can’t find such a reference. If I have made an error, (not a lie) I will correct it. 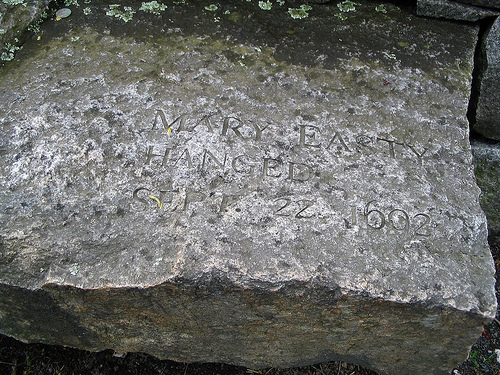 Mary Towne Estey was hung on 9 Sep 1692. Contrary to being a sordid story, I thought that Mary’s petition to the judges was very moving. Mary Towne Easty/Estey was my 8th great-grandmother. Her petition to the judges was a moving and powerful testament to her faith, and in the end proved a far more lasting legacy than the one of bitterness and loss which it cautioned against. Her grand-son, Richard Estey would go to a new country, help build a new church in Maugerville, NB which still stands today, a testament to her and her unwavering faith and love. Mary Towne Estey’s words of forgiveness moved me too. Greetings and thank you for making this page. However there seems to be a flood of new information on the internet stating as fact that Joshua Estey was married to Abigail Stanley born August 6, 1688 in Topsfield and know fact or even valid speculation as to why this determination was made. To begin with, this is not Abigail’s birth date. It is her baptismal date and she was baptized on the same day as her brother Thomas several months after her parents joined the church of Reverend Capen. On 12 July 1712, she married John Towne in Topsfield. Her name is given in the record as Abigail Stanly. How could she be the wife of Joshua Estey as he didn’t die until 1718? Abigail and John Towne had 1 son Bartholomew who was baptized 4 Apr 1713. On 28 Mar 1714, John Towne died. On 11 May 1715, Abigail married John’s cousin also named John. They had 5 children: Samuel 1717, Jonathan 1719, Abigail 1721, Catherine 1725, and John in 1729. Abigail did indeed die 1 Sep 1746 in Topsfield but the record shows her to be “Abigail Towne, wife of John”. Also during the period 1702 to 1717, Abigail’s father Samuel was the town clerk and kept excellent records. I do not understand this sudden barrage of information coupling Joshua Estey to Abigail Stanley with no information or explanation to back it up when the actual records for Abigail are so clear and present. What am I missing? Where is this information coming from and how has anyone done their own research to see if this information is correct or is everyone simply repeating what others have said without doing their own research? I am confused at this point. Joshua’s wife was indeed Abigail as can be seen in the baptismal record for Marcy or Mercy in Topsfield but how does any of this tie to Abigail Stanley without giving some explanation as to why and how that is possible? I mean this post with no ill intent. I appreciate those who would make a page like this. I simply don’t understand as it relates to Abigail Stanley so far as it only appears to be a random guess regardless if it was made 200 years ago or yesterday until something of a reasonable explanation is provided. Mary Towne Estey is my 9th Great Grandmother also. Thank you so much for such an informative and lovely site dedicated to our ancestor. Would you be able to indicate the location of Isaac and Mary’s homestead was in Topsfield? I watched The Conjuring over Halloween weekend. They mentioned Mary Towne Estey in the movie.